SGT. STUBBY is the incredible real-life story of a stray dog who became a hero of the First World War. 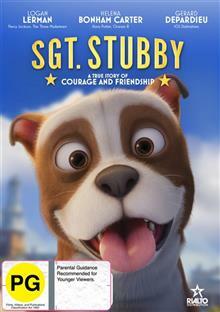 As war nears, Stubby is rescued from his life on the streets by a young American soldier, joins the fight and becomes famous for his amazing military service. For his keen insti... read full description below.